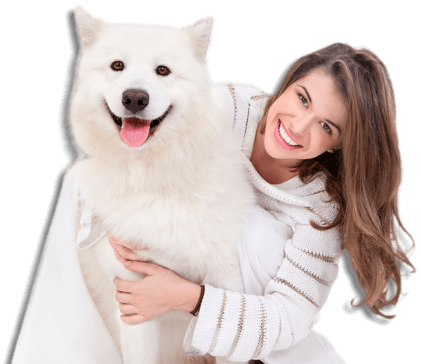 This grain free and cereal free dog food is our best kept secret. Not only is it very easily digestible and gentle on sensitive dogs, but it is one of the most palatable foods we’ve ever encountered. If you’re dog is even remotely fussy then this is a ‘must have’! Extremely gentle on dogs with sensitive digestion and allergies. No more smelly doggy farts. Healthier hair and skin condition then ever before with Omega 3 & 6 oils! High phosphorus levels improve bone condition for their future. For Reviews, Feeding Guidelines & Ingredients consult ‘The Details’ section below. After having so many people beg us to release a grain free dog food we thought it was about time we stepped our game up and actually do it. So ta-da, this is what we came up with. A duck and potato single protein grain free food perfect for every dog, but especially useful to those prone to tummy upsets on ‘normal’ food. 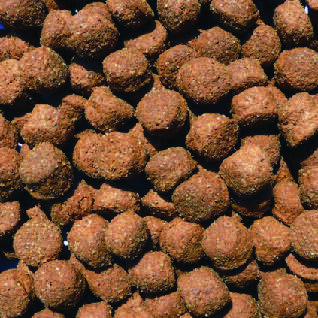 It’s also one of the most palatable foods in our range as dogs go quackers for duck! 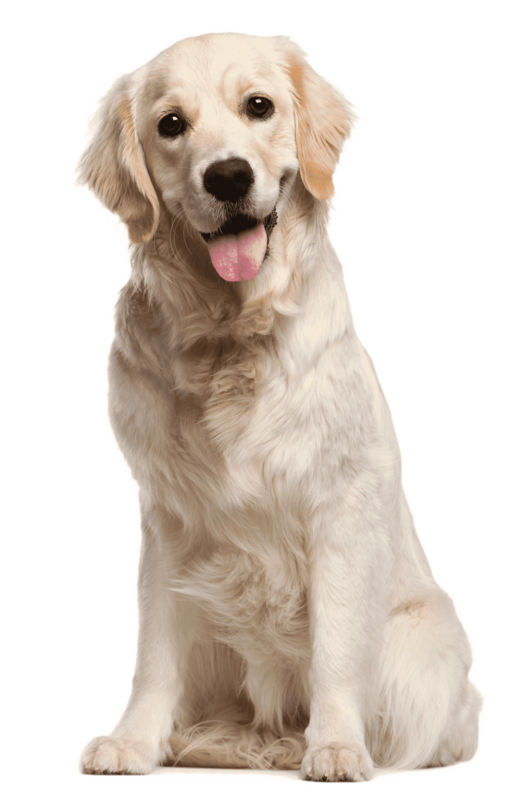 Because it’s both grain free and hypoallergenic your dog will thrive without the worry of bad reactions,sensitivities or runny stools. We don’t just give them a healthy diet, we also focus on taste. For our dogs to truly get the benefit of our foods they first need to want to eat it. We’ve concentrated on getting an extraordinary amount of taste in to this food. This is the best tasting food we make. A human quality protein source that dogs will go out of their way for. Dogs love the taste of duck. Ingredients: Potato (min 35%), duck meal (min 26%), peas, beet pulp, poultry fat, brewers yeast, linseed, digest, minerals and vitamins. The best value grain free I’ve encountered. We’ve fed our dogs on grain free for years and this is the best we’ve tried. One of the cheapest too. Pippa found it hard to settle on any puppy food, after frequent trips to the vet and pricey specialist vet food I finally found Growling tums. She put on weight, her coat now shines , she is five months old and full of energy and doing great! I have three dogs, a saluki, a whippet and a lurcher who has a sensitive stomach. They all love this duck flavour. Their stools are firm and no passing of wind either. They are fit, healthy and happy dogs. I have tried all foods and think this is definitely the best value and quality. My dog has an allergy and her paws get red and sore from her nibbling at them. After I changed to this cereal-free food her paws are fine and no more itching. Also poos aren’t so smelly and she finishes the cereal immediately instead of picking at it through the day, must be tasty! Luna (GSD) suffered with really bad bowels on and off for two years which the vet could not diagnose. After a change of vet – it was suggested to me that she had a leaky gut and advised that we moved to very simple diet. Bought your duck and potato which she has been on for just over a month. Lovely bowels, happy dog! She loves it too, so crunchy and tasty (so she says). My black lab now aged 7 has had food intolerances since 6 months of age. On recommendation from our vet I have been feeding her on Growling Tums for nearly a year – happy healthy dog! My dogs have a lot of problems so thought I would give this a go,fab! Patch loves it as well as my 15 year old, so I bought a 12kg bag and they are vey happy dogs,better fed than me !!!!. I would defo recommend this to anyone with dogs. Great product. My dog had a problem with flatulence which was horrible. He loves his new food and the problem has gone. He’s happy and we’re happy. Freddie still says yeah, I am a Labrador which means I’m not that choosy but it’s grain free and lush! It makes me smile! Our labrador appeared to transfer over to this food from his puppy food with no problems. Sample came in record time. Yorkies found it a little bit too big and hard, they are getting old and have missing teeth, but when softened with hot water they ate it. However decided to order the grain free for small dogs and they are wolfing it down- even without bits of chicken on top to tempt them. This is a record! very impressed with the speedy delivery and am amazed at how much my boy enjoys this food even to the extent of going sitting in front of the bag and crying for more ,he has only been on it for 2 weeks so a bit early to say if it has helped his allergy but have noticed a lot less no 2s. :) Will definitely be ordering again. Have only used this for three weeks. But think bowel problems settling, for which am v grateful. Best ever for my very fussy Basset Hound. It is the only dried food that she will eat without lots of treats smuggled inside. She has far more energy – which is not always a trait of Bassets. After almost 3 years of searching for a diet for an ageing but very cherished Irish setter, this seems to be the answer. A near fatal torsion and Cushings disease means she is rather delicate in tum and bowel and the results on both have been brilliant – and she loves the food! Indie our rescue malamute had suffered from sickness and runs for two years , after various tests the vet thought it was due to food allergy and put her on Hills zd ,which she didn’t like at all and although the condition improved it didn’t stop altogether . 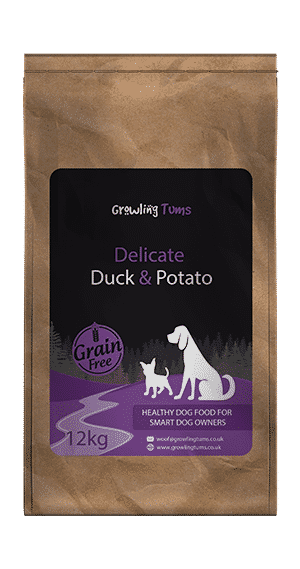 Looking for alternatives i came across growling tums Duck and Potatoe , she has been on this for 4 months now and she has been 100% fine , plus she loves the food , so i cannot recommend it highly enough . This product has proven to be the best yet for our dog. No more loose stools which means we can take our dog anywhere now. Also must thank the huskies for their fast delivery. Abbi was turning her nose up at her regular Burns food.Now that we have switched to Growling Tums she empties her bowl in no time and has the added bonus now of fresh breath! One of our dogs is always licking his paws and makes them very sore. Therefore after reading a review thought we would give it a try. Must admit have only used this food for two weeks and have noticed an improvement. Will continue with this food if it clears our dogs condition. Prior to introducing Growling tuns potato & duck , Our Cockapoo (Rupert) had developed skin problems ; scratching /licking paws and losing fur. It’s early days yet but the scratching & licking of his paws has reduced in intensity after 1 week , so we are hoping for further improvements over the next few weeks. Rupert’s tummy upsets have also reduced and his stools are more solid . This is a nice, easy to eat and digest food. Smaller kibble than my usual Royal Canin but still swells when put with liquid. My dog Teddy was a bit fussy after his surgery (only 4yrs old bless him – Mast Cell Tumor) and this food was palatable and good for treats etc as well as his main food. Will definitely buy again. My dogs love the delicate duck and potato grain and cereal free dog food. Eager to eat at every meal. One English setter 10 yrs old and one Irish setter 4 yrs old, the younger dog had flaky skin which has already cleared up, the older dog has arthritis and had stopped eating, but now wolfing his food down, so yes my boys love it. Poo is much firmer and less smelly, two happy dogs , which makes me happy, I would highly recommend this dog food. My 6 year old Sprocker had licked all the fur off her front paws until they bled and was constantly scratching and shaking her head. She had no energy, was very listless and she even looked depressed! After biopsies and skin tests at the vet, he told me she had an allergy but couldn’t say what to unless she had lots more tests. She had skin scrapes, biopsies etc and was given tablets to ease the symptoms but without a barrage of other tests to detect the allergen and find an antidote (at a huge expense!) nothing could be done. After doing some research on the net of dogs with similar symptoms, I decided to change her food to one without cereals and grains to see if it would make a difference. She has always been a picky eater, sometimes not bothering to eat at all. Since starting her on Growling Tums Duck and Potato a couple of months ago I can’t believe the difference!! She now eats every scrap of her dinner with no fuss, sitting by the bag and crying because she wants more! The skin has grown back on her paws and she’s stopped licking, scratching and shaking her head. She has bags of energy and her coat looks wonderfully glossy! I can’t believe it has only taken a few weeks to make such a huge difference! I shall be buying Growling Tums from now on… thank you so much! My girlfriend purchased this brand for our 2 year old French Bulldog. We had tried him on numerous other brands and they either caused itchy paws, extremely bad flatulence or lethargy. We’ve had him on this brand now for over a week and very pleased to say that the outcome has been very positive. All of the symptoms have stopped, minor flatulence is forgivable and we have a very happy and bouncy dog again. I have recommended this to other owners who’s dog/s suffer skin complaints etc and I would recommend this to you too. I’m also pleased there are a variety of flavours and this brand is also worth every penny. Very pleased with this. My Frenchie suffered with very bad flatulance & heavy moulting. No more smellie farts and coat, so much better. Poo’s very solid and easy to pick up. Before I ordered this I read the reviews and I could not believe how many dogs are just like mine, extremely sensitive stomach and doesn’t like dry dog food. We tried Cali on many dry foods for sensitive stomach none of which she would eat. We were getting concerned as she would only eat enough to keep from starving to death but she was clearly hungry, not satisfied and loosing weight. She had no energy or life in her and she’s usually full of energy. When this food arrived right away she was smelling the box before I could even get the bag out and open. I gave her a couple of kibble and she loved it right away. Ever since then she actually looks for breakfast and dinner which she has never done, even when we had her on wet food. For the first time ever she licks her bowl clean from breakfast and dinner. She’s funny, I still have to put hot water on it but it makes a lovely gravy which she loves and looks for and she likes to eat it warm. We’ve had Cali for 5 years (from 9 weeks old) and she has never done that. When I read the reviews and ordered the food it was my hope to be able to write a review like this but knowing how fussy Cali is I had my doubts. Trust me when I say you can’t go wrong giving this food to your dog, they will love it. Cali is full of life and wants to play more than she has ever done. Her eyes are bright and her coat is beautiful and shiny. Excellent!!! My cocker spaniel and german sherpherd both suffered with bad tummies, with the GSD in particular stinking the room out on many ocassions! Along with the rather smelly trumps, they would poo all the time and it wasn’t a great consistency. So after doing a lot of research I decided to change their food and came across Growling Tums. I ordered the grain and cereal free duck and potato for sensitive tums, and oh my goodness :o) it’s been fab!! I kid you not, there is NO MORE TRUMPING and now the poo is way less and the consistency is what it should be. I highly recommend this food and to top it all it’s delivered for free and I don’t have to drag my backside to the pet store and struggle carrying a huge bag of dog biscuit anymore. Our very fussy Tibetan Terrier is really enjoying this, we bought it as its hypoallergenic and grain free, he suffers from recurrent ear infections and allergies. Service is excellent, price is good also. I have a whippet and jack Russell ..both had problems and tried so many brands but none of them really agreed with both of them . Finally tried growlingtums and I’m very pleased to say that they both love the food and it seems to agree with there stomachs . Really pleased to find a food that firstly they both love and I can feed the same to both , result at last . Highly recommend . My French bulldog Loki has a very sensetive tummy. His farts could kill someone. Ever since we use this food and only this one his tummy calmed down and the smellyness stopped. He loves it and his coat is beautiful. So a big win win situation.